We have touched on this subject here. We rather waffled. Artificial sweeteners didn’t seem to us to be a good idea, but so far no major consequences had turned up. The body didn’t seem to be fooled, and artificial sweeteners didn’t trigger insulin rushes, etc. But it is also fairly well established that people using artificial sweeteners don’t lose weight either, so what’s the point. However, some major consequences have now turned up. A recent paper in the journal Stroke, found here, used long-term data from the famous Framingham study and tested the relationship between artificial sweeteners and both dementia and stroke. The results were strong and frightening. No matter how they diced and slice the data, those drinking artificially sweetened drinks, even in small amounts, were associated with more than double, and in some scenarios close to triple the rate of both stroke and dementia. It is well known that any data, if sufficiently tortured by a skilled statistician, will yield any desired result. Suspicious, we read this paper very carefully, and have convinced ourselves that no such funny business is going on here. The authors, in fact, analyzed the data three ways: first with minimal assumptions, then moderate, then heavy. This is refreshing and we wish more data were treated with this sort of respect. However, it made little difference. The risk was between two and three times higher in all cases. What’s worse, it only took a small amount of artificially sweetened drinks to cause the problems. Two to three per week was enough. Is this why there is a dementia epidemic? The authors did not report that. It is possible that there is one really bad one. It is also possible that there is a genetic component and some people are more at risk than others. What we do know is that the dietary data was gathered from 1991-2001. In that era, aspartame would have been the most widely used sweetener, followed by saccharin. Sucralose (Splenda) was introduced in 1998, near the end of the data range, and would therefor have little impact on the study. Stevia came even later, and would have no impact. In the latter part of the data gathering period, Diet Coke was sweetened with aspartame, but earlier, with a mix of aspartame and saccharin. Same for Diet Pepsi. Aspartame was by far the most widely used sweetener in the other diet sodas of that period. Keep in mind that, while drinks are the most visible form of artificial sweetener use, they are also hidden in thousands of baked goods and salad dressings, etc. The Framingham data has been available for decades. The paper was looking at risks over a 10-year period. This paper appears to be the first one that has found anything strong—and a three-fold risk is very strong indeed. An earlier paper by one of the team members looked at artificial sweeteners and adult onset diabetes, reaching the conclusion that sugar was mildly associated with this disease, and that artificial sweeteners were as well, though less so. For heart disease, a paper here found no association with artificially sweetened beverages, and a mild association with sugar sweetened beverages. 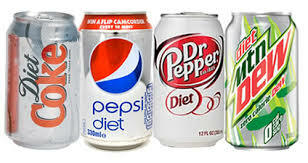 There are some papers finding no association between artificially sweetened beverages and cancer. 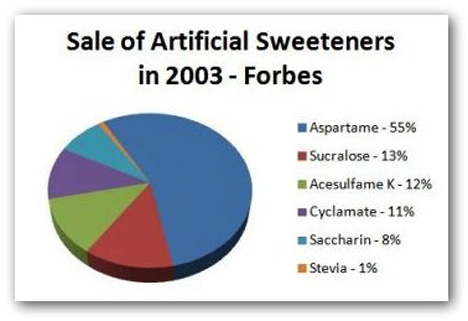 So it looks like that there is little association with the artificial sweeteners that were prevalent in the study (largely aspartame and saccharin) and heart disease, cancer, and adult onset diabetes, however, those same sweeteners show a strong association with stroke and dementia. Seems clear here that the brain has a difficult time with these sweeteners. But which one? Is it either or both? We don’t know. Likewise we can say nothing definitive about the more recent artificial sweetening products. We believe that some extrapolation here would be on firm ground. In all cases, the artificial sweeteners are taken in tiny doses, less that 1% of the amount necessary for the equivalent sweetness using real sugar. Further, aspartame, at least, is almost immediately metabolized. This would seem to imply the effect is mostly mental. The brain gets a signal from the taste buds that something sweet has just shown up. What does the brain do in response to this dietary news flash? Well, for one, we salivate. But downstream, the usual response that would have occurred had real sugar been taken simply does not happen. There is no insulin spike. Circulating levels of glucose don’t budge. So the body is wise here to what is going on and ignores the false info. Apparently the brain is more susceptible. Whatever is happening in the brain would most likely lie at the bottom of the increased risk, but we do not know what that it. Does it prep the neurons or other brain cells for a sugar rush—a sugar rush that is never going to arrive? Do some processes initiate that never conclude? We do not know, but since the scene of the crime, is, in effect, in the brain—stroke and dementia—it is surely the case that the underlying causative processes reside there, and are neurally triggered. There are four circulating numbers that measure your ability to deal with the sugar and starch you are consuming. A rather detailed discussion of their interrelation and a discussion of the healthiest levels can be found here. For a quick peek at the ideal numbers, click here to bring up our conversion app and then click on the IDEAL button. If you are eating sweets and have these numbers, lucky you; at least for now. Most kids can eat a fair amount of sugar and get in this ballpark. Most adults, woefully, cannot. Sorry to be the bearer of such bad news, but this is a wake up call. Those artificial sweeteners will kill you. Again: they are everywhere. Look carefully. Get rid of them, and pass this post along.